Save the date for Friday, October 18th, 2019 for IN OUR BACKYARD’s fourth annual Fall Freedom Fest! 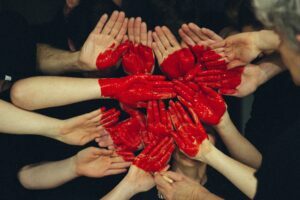 There are three ways you can get involved right now to stop human trafficking! Donate an item, package, or experience to our exciting live or silent auction! 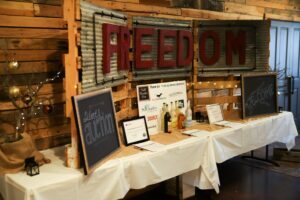 Ask your business to sponsor Fall Freedom Fest – last year our sponsors we re featured through Bend Broadband, the Source, and to our more than 250 attendees! 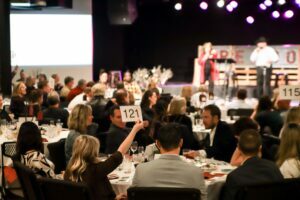 Join our Auction Procurement Volunteer Team and help reach out to local businesses asking them to join the fight against human trafficking with an in-kind auction item, package, or experience! Email us at info@inourbackyard.org to link arms with us in any of these ways! We would love your help on our Auction Procurement Team. Being a part of this team will be fun and can be as little of a commitment as 1-2 hours a month for the next few months. You can make an enormous impact through donating your time and effort in contacting organizations and creating packages for Fall Freedom Fest. Please contact info@inourbackyard.org if you are interested in volunteering with our Auction Procurement Team or for helping at our Fall Freedom Fest fundraiser event. You are a valued part of our work and we could not put on Fall Freedom Fest without you. 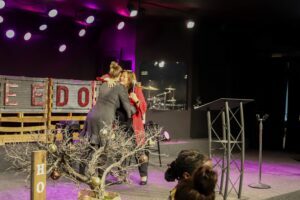 Thank you for helping us raise more than $75,000 at our third annual fundraiser, Fall Freedom Fest, on October 26th 2018!